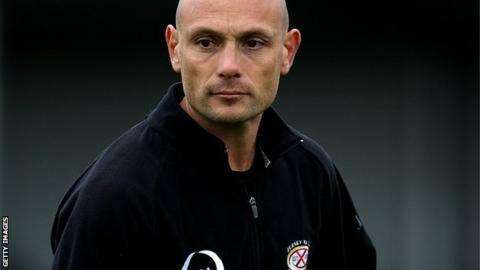 Jersey coach Ben Harvey has called for Championship clubs to be allowed to pick eight replacements. Clubs are currently restricted to naming seven players on the bench for league games, whereas Premiership, Pro12 and Test coaches can pick eight. "I don't understand why they don't do it," he told BBC Radio Jersey. But a Rugby Football Union spokesperson told BBC Sport that the decision had been made by representatives of all 12 Championship teams. The Championship Clubs' Committee agreed to keep the number of replacements to seven as not all teams felt they had the finances to fund squads with, for instance, a full compliment of front-row cover. Any change to existing arrangements would need unanimous backing from all the clubs, added the RFU spokesperson. Jersey suffered several injuries to their backline in their 29-13 defeat against Leeds but had only two backs on the bench. "I've been asking the league to get eight replacements on the bench," said Harvey. "It makes it easier if everyone can have full front rows, two forward replacements and three backs replacements. But in their wisdom they're not doing that." Jersey brought Aaron Penberthy on for winger Ed Dawson, who suffered an ankle injury, in the 29-13 defeat by Leeds, before the 21-year-old was himself forced off with a broken leg, leading to youngster Joel Dudley coming on to play out-of-position at wing.